The increased mobility and volume of international capital flows is a major trend in international finance. While countries worldwide have engaged in financial deregulation, this pattern is most pronounced in East Asia, where it has created a major effect on the behaviour of exchange rates, interest rates and capital flows. In these 13 essays, American and Asian scholars analyze the effects of financial deregulation and integration on East Asian markets. Topics covered include the roles of the United States and Japan in trading with Asian countries, macroeconomic policy implications of export-led growth in Korea and Taiwan, the effects of foreign direct investment in China, and the impact of financial liberalization in Japan, Korea, and Singapore. 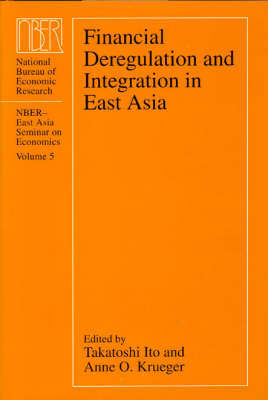 Demonstrating the complexity of financial deregulation and the challenges it poses for policy makers, this volume seeks to provide a picture of the overall status of East Asian financial markets for scholars in international finance and Asian economic development.